Search Engine Optimization (SEO) can end up being a very confusing topic which can even appear to be contradictory among some of the leading experts in the field. Digital marketing professionals can debate for hours about some of the finer SEO best practices including what works and what doesn’t. SEO comes down to two types of strategies: on page and off page. Basically on page SEO strategies are built into the web design structure and are factors which are used to increase the site’s ranking when the search engine crawlers index the site. Off page SEO are factors which are not located on the page or site but can still be powerful influencers when it comes to ranking in the SERPs. Blogs can provide relevant, high quality links back to your site. Using blogs whether you are writing them as an extension of your business or providing a guest post for someone else can help you build relationships with others inside your own niche. Another benefit from blogging includes reaching a larger audience. Maybe you already have a well established blog with some faithful followers. By providing a guest post for another person it can extend this audience beyond your regular readers. Blogs help establish your reputation in your own field as readers soon come to recognize you as a reliable source of information. Blogging helps to increase links back to your site. These are relevant, generic links which search engines will see as adding to the value of your site and help establish you as an online authority. Is the page or site relevant to my business or what I do? Does this site have low quality outbound links? Is the site going to help send the right type of traffic to my site? Does this page or site rank well in the SERPs? Does the site have numerous links from other sites? It is important how other sites link to yours. Sites that use “rel=nofollow” tags or that use a redirect to link to your site will not be beneficial. 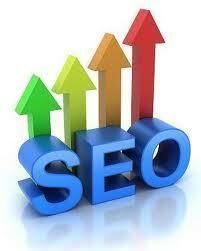 Search engines will also evaluate the text that is linking to your site. Despite its complexity, link building strategies are still a valuable off page SEO strategy.